In orders to execute a pairs trading strategy, they said to use stocks Y and Z? How come it would not involve stock X and Z? They seem to offset each other (assuming the two stocks are in the same industry). Which I thought was required to take the long and short positions in the pairs trading strategy. did anyone get an answer on this topic. I have the same problem. Probably (not sure) because X and Z were off setting each other 0 return seems not the best choice. Please can anyone advise on this? I believe, there are lot of assumptions going on here. Also X has the potential to go down by maximum 15% and Z has the potential to go up by maximum 15% if we assume that their market prices will converge to their intrinsic values over the same period of time, and it doesn’t give us much profit in this Pair Trading Scenario. However, if you use Y and Z, then it can offer a much large potential gain compared to when we use X and Z, when the prices of Y and Z moves by the same amount, converging to their intrinsic values. Hope, it makes sense. This is just my understanding, however, I might be wrong here. For the most recent poster this question is taken from the EOC, reading 26, question 20. The reason the answer is C, which is buy Z and short Y is because the other 2 multiple choice answers are definitely incorrect. If Buying Y and selling X was an option, I believe it would be the ‘most’ likely answer but in this case the ‘most’ likely answer is Buying Z and selling Y. The concept of a pair trading strategy is to buy relatively undervalued and short relatively overvalued stocks in the same industry. 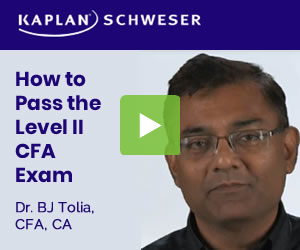 The CFA reading does expand too much on how to net out the position. Also note that a 15% decline or increase in X&Z will not be the same $$ amount so your position will not be fully netted out Anyways.